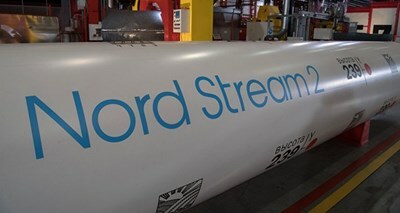 BRUSSELS, April 11 (Reuters) – Construction of Russia’s Nord Stream 2 pipeline to Germany is bound to face further long delays, forcing Moscow to come to an agreement with Ukraine on future gas transits, a senior EU official said on Thursday. The 11 billion euro ($12 billion) project to build a gas pipeline from Russia to Germany has come under fire from the United States and several eastern European and Nordic countries, which fear it will undermine Ukraine, and its gas transit revenues, and increase the EU’s reliance on Russian gas. Completion of the 1,225 km (765 miles) pipeline under the Baltic Sea would offer Russian gas export monopoly Gazprom an alternative to pumping gas through Ukraine to Europe. In addition to uncertainties over the pipeline‘s route due to pending approval from Denmark, and how it will comply with EU rules, Borchardt said he expected that gas transits from Germany via the Czech Republic to other EU states would also not be in place by 2020. A U.S. State Department official told the same panel in Brussels that Russia was pursuing thepipeline so that it would no longer have to rely on sending gas supplies via Ukraine.